This week's Friday chess puzzle is from Tigran Petrosian vs. Boris Ivkov 1979. The position is quite well known, so apologies if you've seen it before. 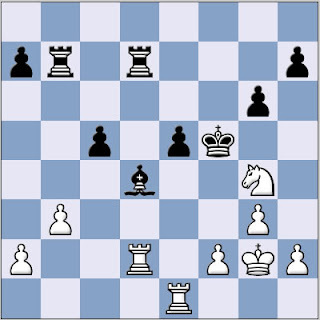 The question is: how did Petrosian, White to play, force a quick checkmate? Rd4 Taking Bishop. Pawn or Rook takes Rook. I think this is correct, I am not posting with my computer. Rxd4, to which black has to take with either pawn or rook, then the Re5+, forcing the Kxg4. That would be the longest, most painful route for black. Yes?